The cheapest bookshop I've ever visited is also the one that's possibly the most difficult to visit. 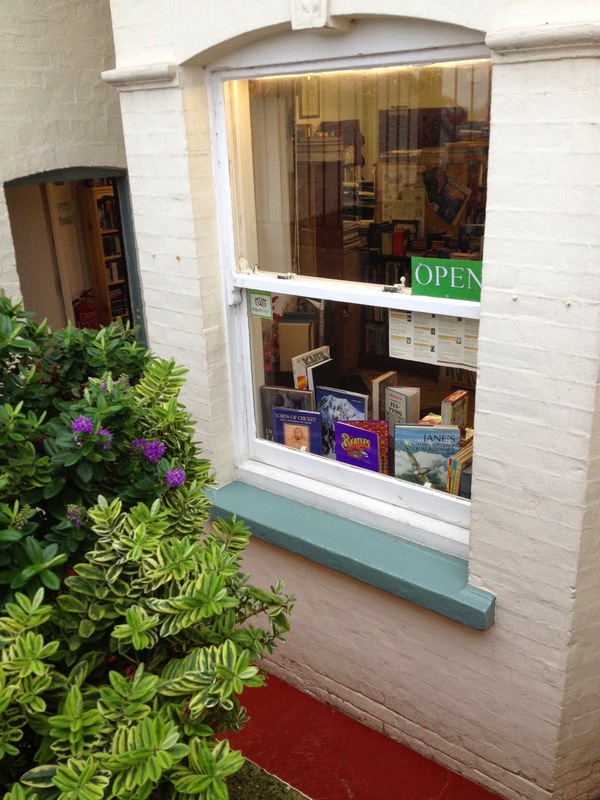 Located just across the road from the sea near Margate in Kent, Tiverton Books opens for a mere eight hours a week – four on a Tuesday and four on a Sunday. 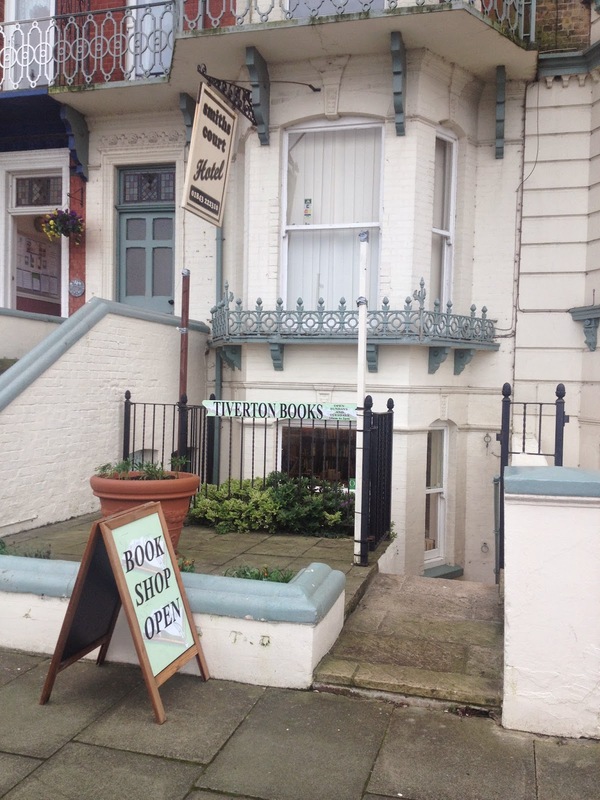 However, found 'down the steps' below a hotel, it's not obvious from the street, so even if you do arrive on the right day you might still struggle to find the bookshop if walking by the sea. Fortunately, it didn't take too long for my friend and me to realise we needed to cross the road, and we were soon making our way down those steps. Walking into a good-sized non-fiction front room, we were greeted by a friendly bookseller who explained the books are ordered by section but randomly allocated shelf space. An organisational decision that would ordinarily make my blood run cold, her demeanour and choice of words were so natural I found myself accepting the explanation and getting stuck in. And, surprisingly, neither of us really minded the lack of alphabetical order. Yes, it was initially a little bewildering when we walked through to the back room and started studying the fiction shelves, but after a while it was a refreshing change to skip from M to A and back to G. It certainly prevented me from resorting to a 'safe' read from an old favourite. The size of the bookshop also helps in this respect. I'd naturally moved from the central fiction recommends table (which is a gentle jumble wherever you shop) to the shelves, so this transition made the mixed up alphabet seem less jarring. What would've been harder to stomach is a mix up of genres, but these were very clearly allocated their own areas to help me leap from crime to general fiction to romance to sci fi with no danger of finding a George R R Martin next to a Gabriel Garcia Marquez (heaven forbid). I admit I'm not advocating throwing out the alphabet, but in Tiverton Books it certainly helped to draw my attention to a range of titles I wouldn't usually notice - hence my purchase of Anna Pavord's The Tulip, a non-fiction title among the history books and priced just 80p. As for my friend? He picked up Ajax: The Dutch, The War, by Simon Kuper. I'm not sure how impressed he was when the bookseller and I teased him about buying a football book, and for that I apologise, but from his contented browsing I can confirm I wasn't the only one to enjoy the bookshop. That's very mean of him! You should definitely make a point of visiting, it's such a lovely bookshop and so friendly I believe I could easily lose the full four hours of opening in there.